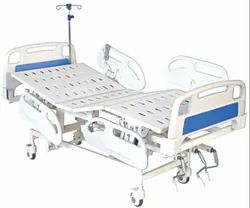 Our range of products include saline stand and icu bed 4 position. 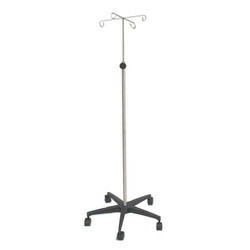 Available in full stainless steel / Epoxy powder coated stand & stainless steel saline rod. Saline rod provision at four locations. Four section perforated CR sheet top. operated by 3 separate attached cranks. Polymer moulded Head and Foot Board. Castors with central & Directional locking system. Telescopic IV rod. Urine bag loader. Looking for Saline Stand ?